almost Christmas!! 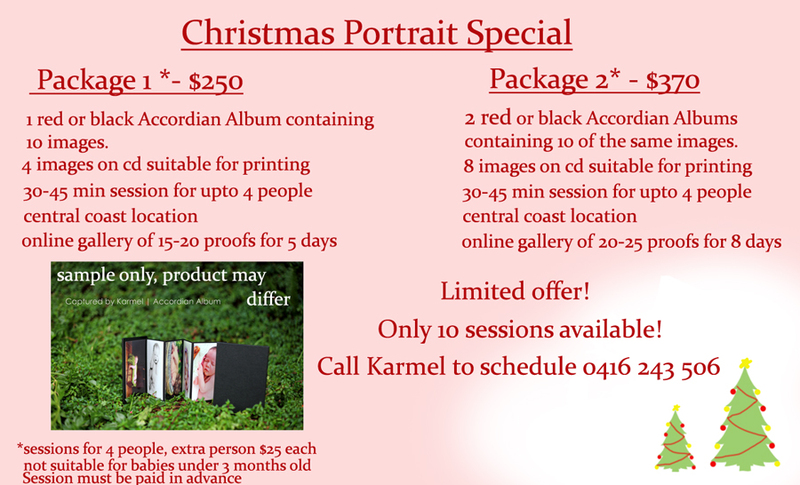 Below is Captured by Karmel’s portrait special for christmas. This is a strictly limited offer so be quick to secure your session! Conditions: Central Coast location, limit of 4 people extra person $25 each. These sessions are unsuitable for newborns and babies under 3 months old. Offer available to the first 10 people that book and pay for their package. Please note: These sessions have now expired and are no longer available. If you would like to schedule a session please send an email.